With a pleasing style and efficiently arranged spaces, the Ginger offers a charming place to call home. 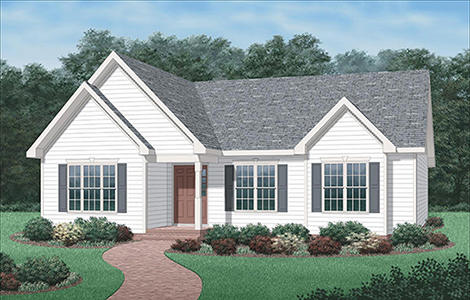 A distinctive overall form, subtle trim accents, and the sheltered front entry help create an inviting impression. Inside, many satisfying features of this three-bedroom home await you: Vaulted ceiling adds drama and interior volume in the family room. Adjoining kitchen and informal dining area has plenty of space, natural light, and a porch at the back. 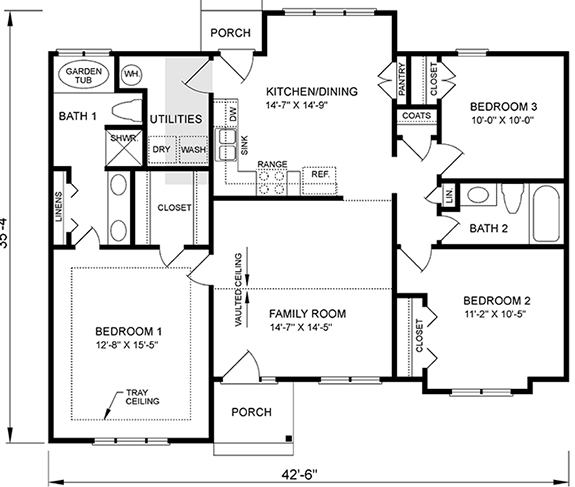 Note the separate utility room�a welcome feature for any homeowner. Luxurious master bedroom has a tray ceiling, a generous walk-in closet, and a private bath with double vanity, garden tub and separate shower.